Here I am again! In this god forsaken place. Standing on the wall, staring into the darkness, and just waiting. Watching and waiting. Mind numbing, waiting. Always this wretched cold! Biting into my bones and nipping my knees, a woollen cloak no defense against the real enemy. Boredom. Oh, for some action! Something to warm me up. I’d put paid to a barbarian or two. If only they’d storm the fort, like real men, instead of hiding in the trees. They wouldn’t stand a chance, against us trained soldiers. Training! That’s all we do. Day in, day out! Pitting our wits against each other to stay sharp, in the service of the Empire. It’s fine for the Centurion with his fancy house. He never has to stand out here, shivering. I’m just an auxiliary. A slave to Rome. 25 years I have to survive this dog’s life, before I can become a Roman citizen. The days are not so bad. No time to think. At least you can have a hot bath and decent food. Maybe get out on a hunting party for some fresh meat. Even have a skirmish with some of those savages. Makes you feel alive, alright! Anything’s better than this creeping death from the cold and damp. The mocking whisper of the wind. Deathly stillness! From Vindolanda we drove 15 minutes to the Roman Army Museum, close to the village of Greenhead, to learn a little more. A joint ticket can be purchased for the two, which compliment each other. A highlight of this visit is ‘Edge of Empire-The Eagles Eye’, an atmospheric 15 minute film, for which 3D glasses are worn. ‘Night watch’ was written in response to the film, of which I can only share the trailer. At the museum I learn that it is Rosalia, the Roman festival of the rose, traditionally held in May. Curiously, the Romans believed that Mars, god of war and protector of Rome, was born from a rose. The blooms were worn to honour the fallen. 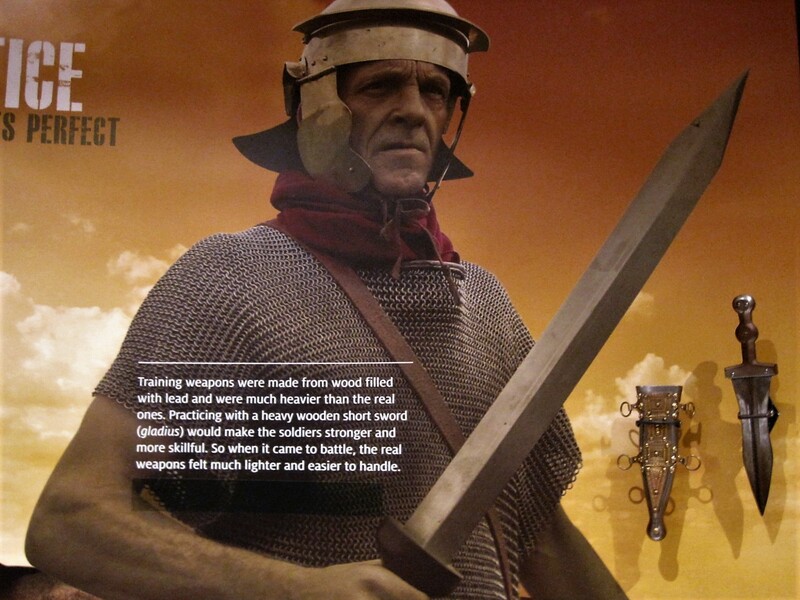 The displays and information add to my knowledge about the Romans, and their surroundings. They were very serious about the business of ‘conquer and defend’. Training was done with weighted weapons to add to the strength and skill of the soldiers. In battle, wielding a sword would feel so much easier, and inspire confidence. Training could be brutal, with little quarter given. The armour and weaponry engendered huge respect for the skill and craftsmanship of these people. I learnt that discipline was very strictly enforced. Falling asleep on sentry duty in the long, dark nights was a crime punishable by death, often at the hands of your fellow soldiers, while the garrison looked on. 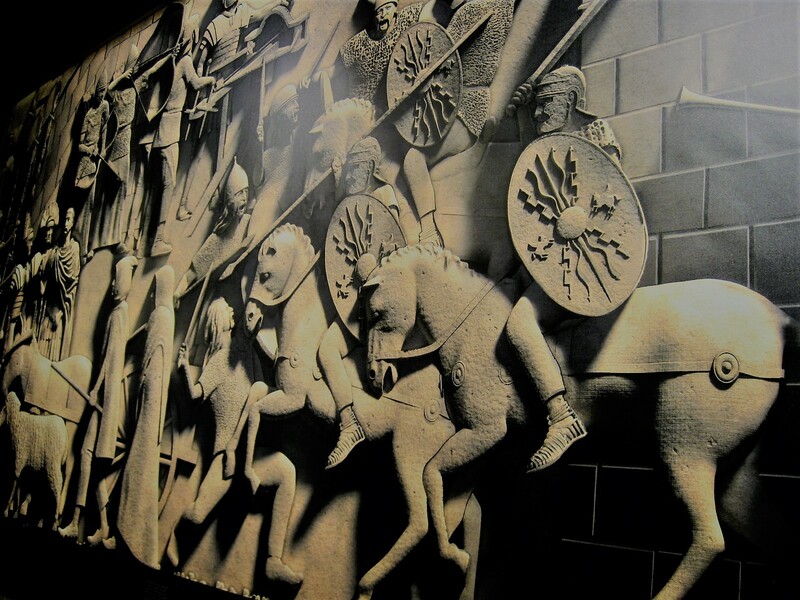 A background video, running on one wall, told the story of a bunch of young soldiers and how they felt about life in the Roman Army. Wine and gambling were happy diversions from the training schedule. A timeline and Hadrian’s interesting story completed the exhibits. I doubt I would make the journey especially for the Roman Army Museum, but it works well in conjunction with Vindolanda. When we had left the fort there was a freshness in the air and we were glad to be indoors. By the time we left the museum it was spitting on to rain, and the skies a dull grey. The iconic Sycamore Gap looked a little ‘all forlorn’. I’m adding this post to Cathy’s collection of Prose, over at Wander.essence. I hoped to give you a flavour of life on the bottom rung of the Roman Empire. Not always a comfortable place to be, but with its own rewards. The 3D film made quite an impression on me and I feel like I’ve been living alongside those Romans. I’m glad you could keep me company. oh wow this is fabulous Jo . . . . just brilliant. Is there anything you can’t do? Many thanks to you 🙂 🙂 Vindolanda is better! Loved this, Jo. I’ve read several historical novels about the Romans in Grand Britannia during the time of Hadrian’s wall, and this fits my images so well! Gotta see this place the next time we are across the pond.Hard to imagine how someone could endure the boredom and repetitiveness of being a Roman soldier for so many years! I am browsing blogs at home in Colorado on a Saturday morning, nursing my jet lag after flying home from London on Wednesday, having driven down from Northumberland on Tuesday. Didn’t expect to be seeing places I’d been past on Monday. 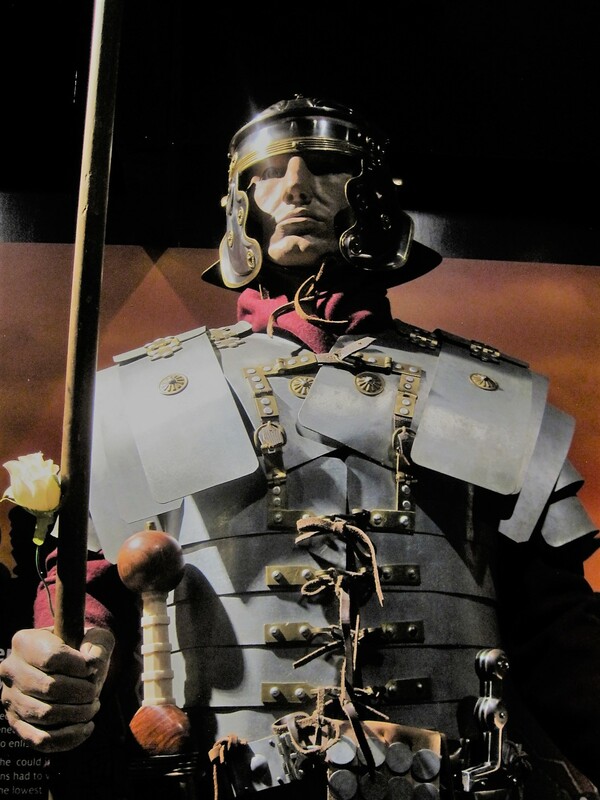 We were too busy spending time with friends from Greenhead to visit the Roman Army Museum, so thanks much for the tour! The museum isn’t a serious miss but if you could have made time for Vindolanda- in my previous post 🙂 – I think you might have loved it. Heaps of Roman shoes still being unearthed! Many thanks for stopping by. I think you’ve set a lot of people thinking, Cathy. You were right- blogging can become boring, and you find yourself on a treadmill with everyone else. The friendships are wonderful though. My lovely Australian friend Meg has helped me so much with the upcoming Polish trip, and you know Jude and Gilly are great mates. 🙂 🙂 I suggested to Suzanne that her walk would be great for Prose, and I hoped that a few others might follow. I think you have a lot going on on that site and there may be too many invitations, but nobody can call you boring, hon. 🙂 Have a wonderful rest of your trip! Thank you, Jo, for your kind words. I know what you mean about blogging; it can get boring doing the same old thing, but I feel a bit more energized when I push myself to try something new. The friendships made through blogging are great though. I’m excited for you that Meg is helping with your Polish trip. Though I’ve met bloggers face to face, like you (which I thoroughly enjoyed! ), I feel like I know other people even though we’ve never met. I’m so glad both you and Suzanne linked up for prose; both of your pieces were so much fun to read! I feel excited any time I can inspire; I guess that is the part of teaching I have always loved and I hope to find ways to have fun with that aspect of it as relates to travel. I’m winding down on my trip now with only 7 days to go (3 driving back across country). I’ve circled back to Colorado now after going to the Four Corners Monument yesterday, the point where the corners of the four states meet. I got myself in a bit of trouble there by buying a Navajo/Zuni Denver turquoise bracelet and a Navajo pot. You know I can’t travel without doing some shopping! Today I’m driving the San Juan Million Dollar Highway to Telluride, where I’ll spend the night. It’s so lovely to be back in Colorado again, where it’s so green and mountainous. It’s like I’ve crossed the border into another magical world! I did think of cussing a bit, Gilly 🙂 🙂 Don’t really have an answer to your question but here’s a link with a bit of background on the tree. 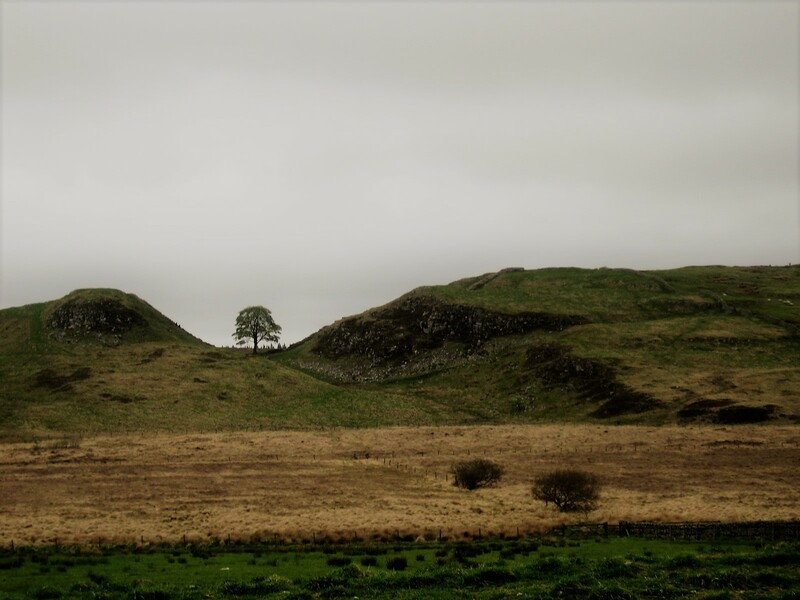 https://www.nationaltrust.org.uk/hadrians-wall-and-housesteads-fort/features/sycamore-gap. Hugs, darli! So glad to see they got to wearing leggings/breeches this far north! A splendid channeling of a Roman soldier in your intro, and a lovely colloquial account of the museum and what it offers in understanding. A more than worthy addition to your repertoire and to Cathy’s collection. Love the photo of the sycamore. Expresses the isolation and bleakness of the outpost beautifully. Loved the introduction you wrote. It really set the mood, but I agree that the Vindolanda was more to my taste. It seems we could all do with a little less war and armies.